He arrived alone, promptly at 8 a.m. No parents, coach, teammates or friends. It was just high school junior LeBron James, ready to pose for an ambitious 25-year-old who had never shot a Sports Illustrated cover before. 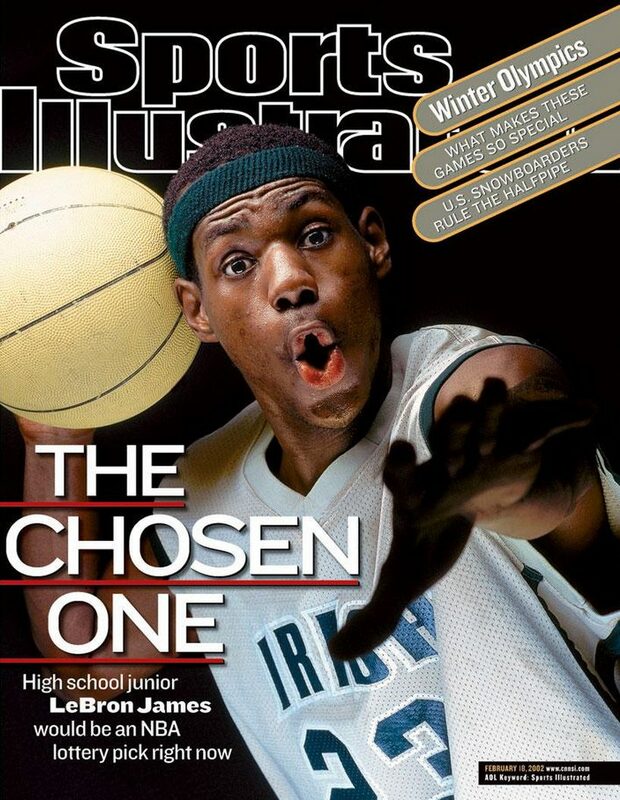 The outcome was far from certain, both for the magazine and for 17-year-old LeBron. The man behind the camera, Michael J. LeBrecht II, was usually an assistant who handled equipment for big-name SI photographers. Some of the magazine’s editors were leaning toward some snowboarders from that year’s Salt Lake City Winter Games for the cover. And several of SI’s previous basketball phenoms had flamed out. LeBron himself had no idea how the Feb. 18, 2002, issue would rocket his already remarkable life into the stratosphere. This was 2002. Before internet culture, before the iPhone, before video ubiquity. “Viral” still meant disease. Breaking into the national consciousness required a massive punch — like fronting the 3.2 million magazines Sports Illustrated printed every week. We know LeBron today as a world champion about to play in his 13th NBA All-Star Game, a master of all media who controls his image with the same will and skill he uses to orchestrate the Cleveland Cavaliers. But 15 years ago, he was a self-described naive teen, eager to please. Back at the SI offices, LeBron started to get cover consideration when the reporting in Wahl’s story made clear LeBron’s exceptional promise. Wahl quoted Danny Ainge, soon to become general manager of the Boston Celtics, saying he would draft LeBron first right then, as a high school junior. Others testified that LeBron was better than Kobe Bryant in high school. And the story opened with LeBron socializing with Jordan like just another homie. “I thought it was as close as you can get to a can’t-miss,” said Bill Colson, SI’s top editor at the time. The magazine had missed before, on prodigies such as Schea Cotton and Felipe Lopez. But it also had connected with other high school basketball cover stars, from Rick Mount in 1966 to Kevin Garnett in 1995. The LeBron James issue was one of Colson’s last. He was in the process of leaving SI over disagreements with new management over direction of the magazine, but doesn’t recall much internal resistance to the LeBron cover. Kelly, though, remembers some pushback from other editors. “To put a junior in high school on the cover was a real departure for SI. It was a ballsy move by Bill Colson,” Kelly said.